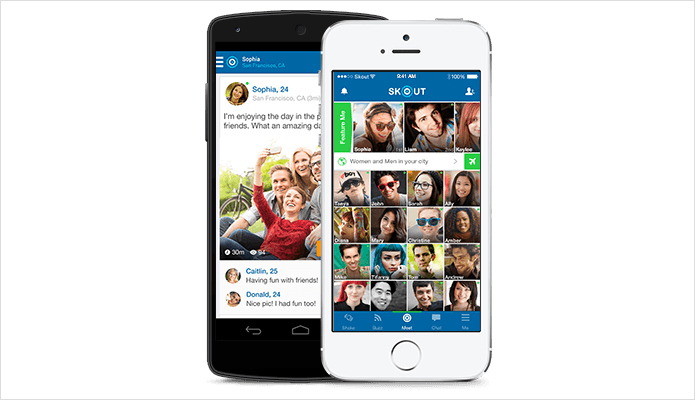 Skout takes the pressure out of meeting new people by combining a dating app with a social network. Set up dates, network, and make new friends on a platform that’s part Tinder, part Facebook and part Chatroulette. Skout shifts the focus from finding a lifelong relationship to chatting with people that share common interests, and is designed to help kickstart your social life. If you’re new to a city, or just bored of the same old crowd, then Skout could be a great way to break out of your routine and find some fun. 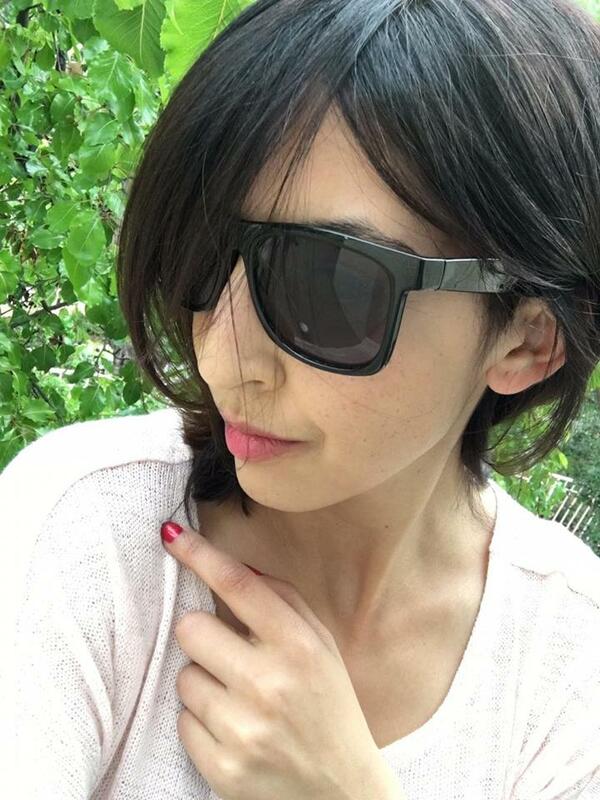 Your Skout profile includes your age, height, dating preferences and interests. Profile photos are automatically imported from your Facebook or Google+ profile, or you can add your own. Skout has a newsfeed feature similar to Facebook. Anything you post to the newsfeed will also be featured on your profile. If people like what they see when checking you out they can let you know by sending you a Wink, a gift, or favoriting your profile. Your Skout statistics are also displayed on your profile, including number of friends, number of profile favorites, points (Skout’s currency) and number of gifts. Unfortunately, like other features in the app, the profile has a tacky feel due to the large ads that populate each user’s page. Skout is all about being social, and the app gives you a bunch of ways to connect and meet with other users. The Interested feature is a Tinder-like yes/no matching system where you swipe through profile photos. Annoyingly, this feature is often interrupted by pop-up video ads. If you want to take a little more time, the Meet tab will show you a grid of users near your location. If you see someone you like, you can check out their profile and start a chat straight away. If you like to roll the dice in your social life, then the Shake to Chat feature is for you. Simply shake your phone and Skout will match you with a random person from anywhere in the world. Don’t worry, it’s not video chat so you’re not setting yourself up for a face full of someone else’s junk. Skout does not allow you to filter your matches or search results beyond gender (three options are provided: men, women, men and women). However, most matches will be within 20 miles of your location. The goal of Skout is to have fun and be social with no pressure, so limiting who you interact with too much seems to go against the spirit of the app. Skout is all about communication. In fact, many of its features mimic other popular social networking sites. The Buzz tab acts like Facebook’s newsfeed, the main difference being you don’t need to be connected to see or comment on posts. This gives Skout a community feel as people comment on each other’s new profile photos or post Twitter-like updates about what they are eating for breakfast. Skout is built for new interactions, so you don’t need to connect first before starting a chat. If you’re feeling a little desperate, you can send out a Wink Bomb, which is a generic message designed to initiate a chat. Your Wink Bomb can be sent to up to 5,000 people. To use the feature you will need points, which you can buy or accrue through interacting with other users. Skout is a free app, and if you don’t mind the ads, it’s well worth downloading. This is especially true if you’re a social person who loves chatting and meeting new people without necessarily having romantic desires. If you’re only looking for hookups, serious dates or a long-term relationship then you might find it a little unfocused. If you need something to break you out of your current social group and inject a little fun and excitement into your day, then Skout could be the perfect solution. Cheng, Roger. "How Skout Attracted Millions With Its Flirty Ways". CNET. N.p., 2012. Web. 21 Apr. 2016.